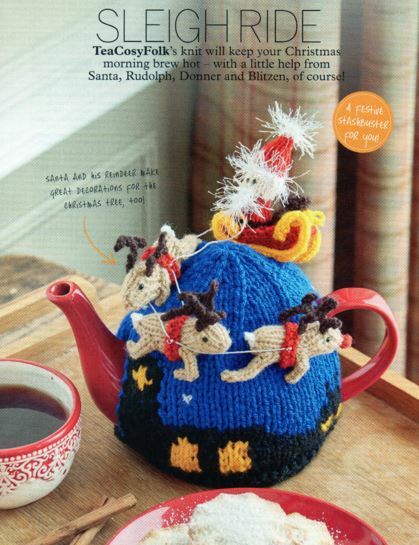 Santa's Sleigh Ride tea cosy was designed for the Simply Knitting Magazine issue 140 which went on sale in early November just in time for Christmas. 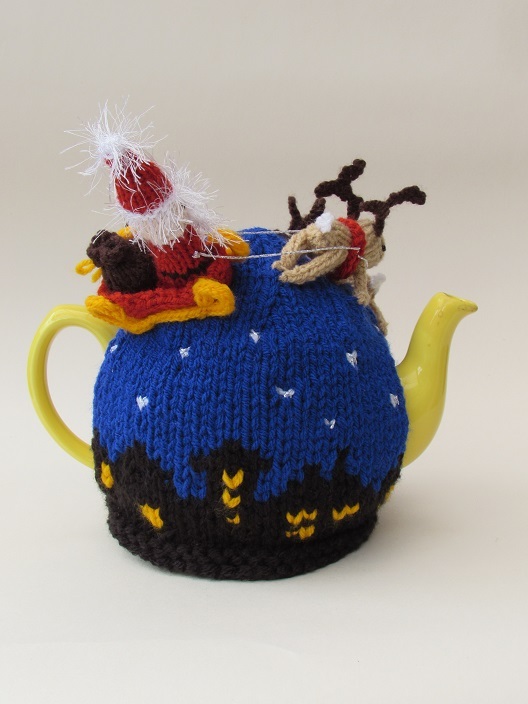 The Santa's Sleigh Ride tea cosy was inspired by Christmas eve, and the poem 'Twas the night before Christmas', and all the magic of Santa delivering presents. 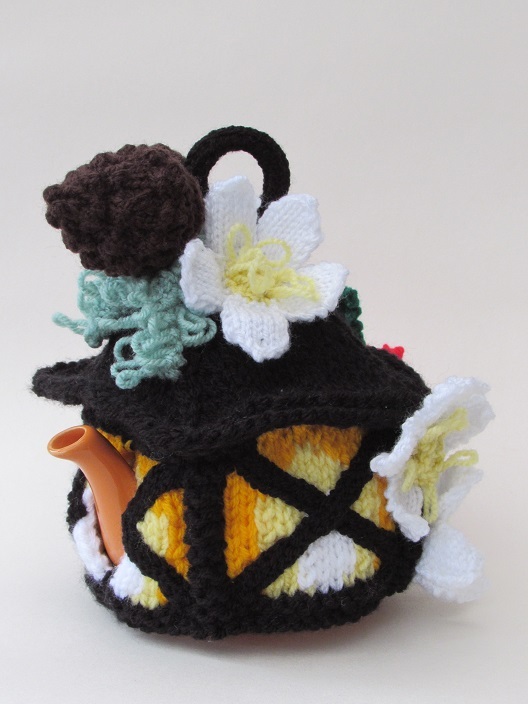 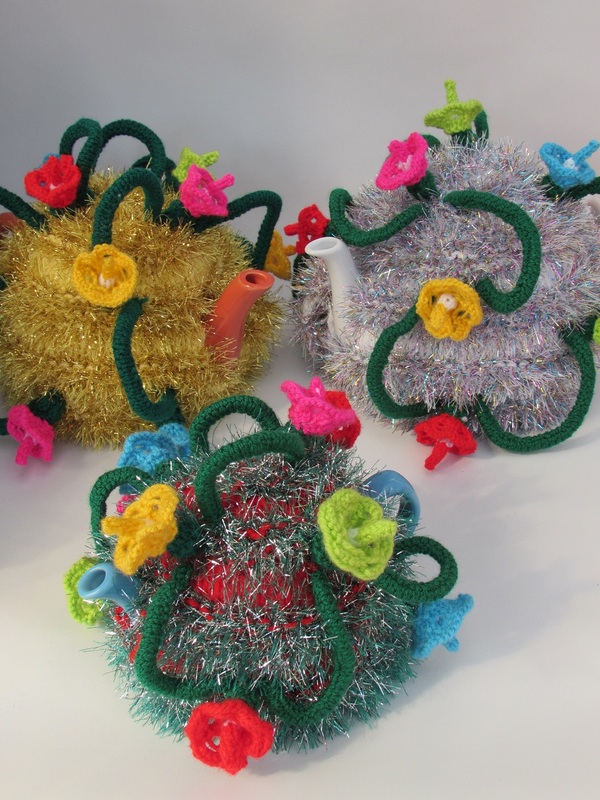 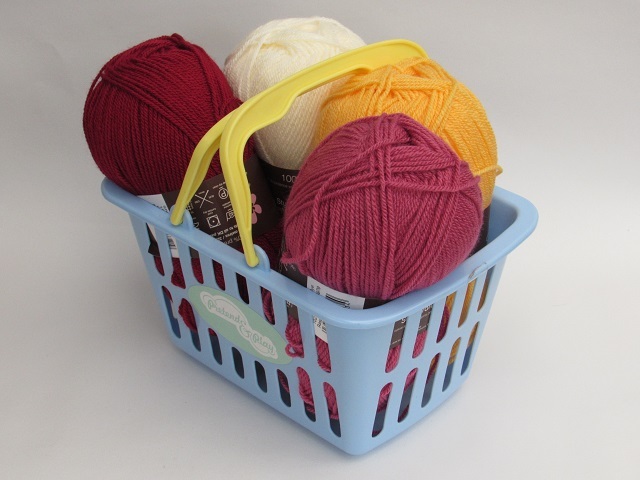 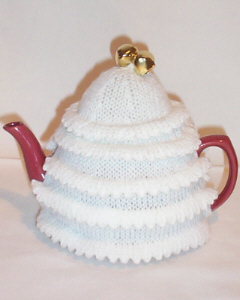 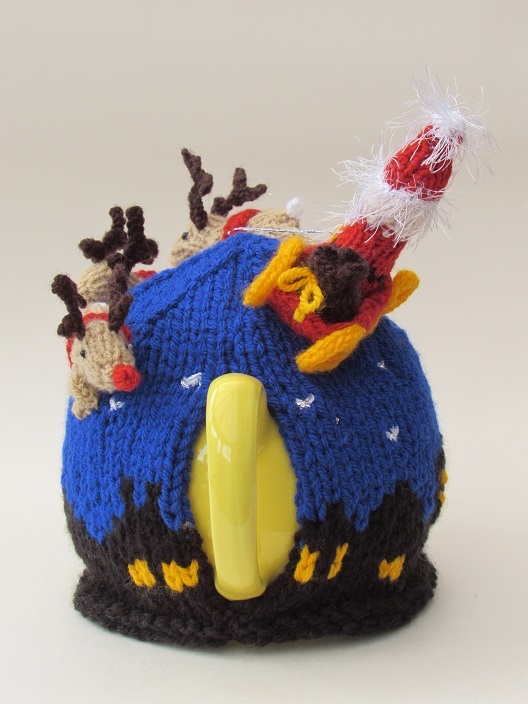 The tea cosy depicts a city scape with houses and flats. 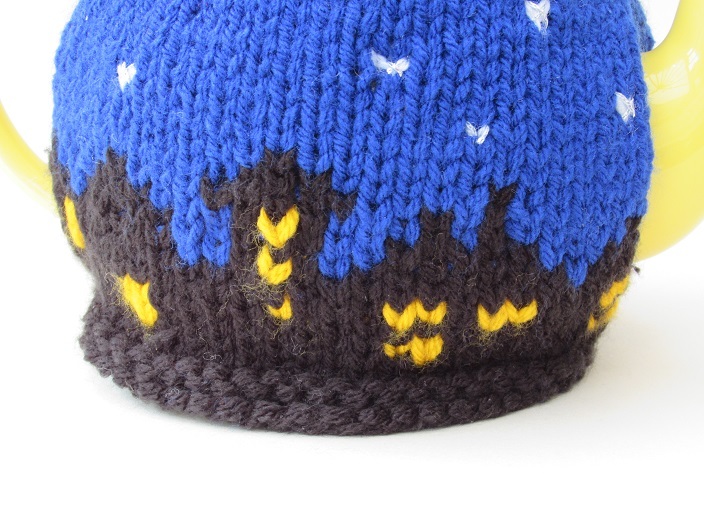 I also wanted to include a church in the silhouette because I like the nod towards the true meaning of Christmas and that the church is at the heart of it all. 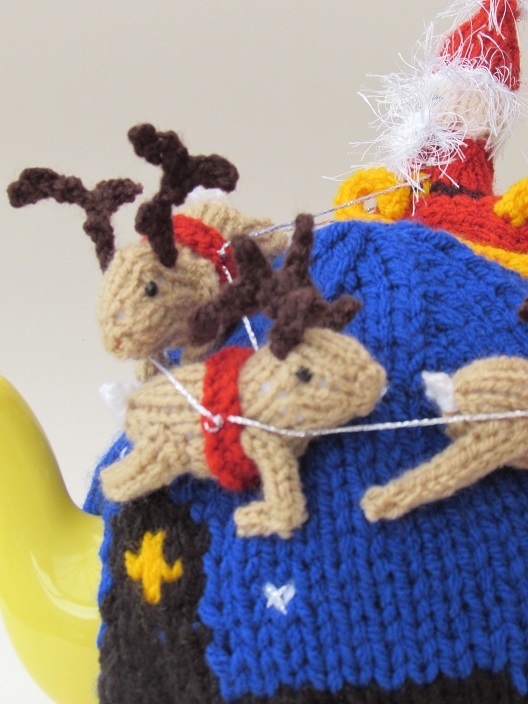 Santa is flying through the starry sky in a red and gold sleigh pulled by reindeers. 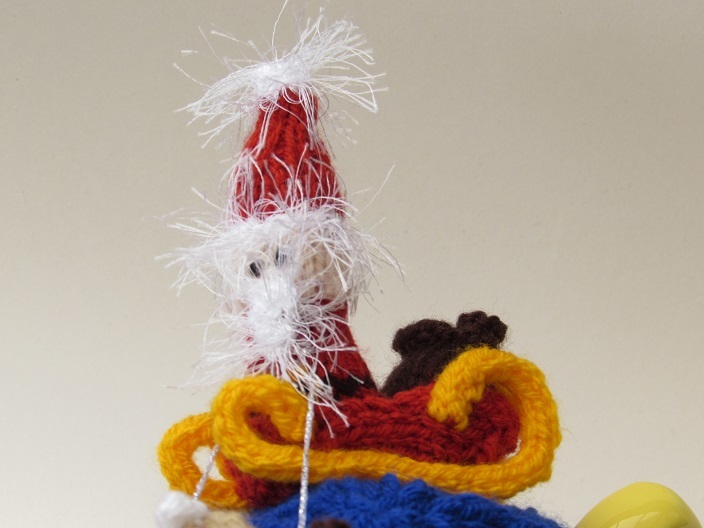 I wanted to give Santa a fun look, and the white Stylecraft Eskimo yarn really does that, and make him look windswept. 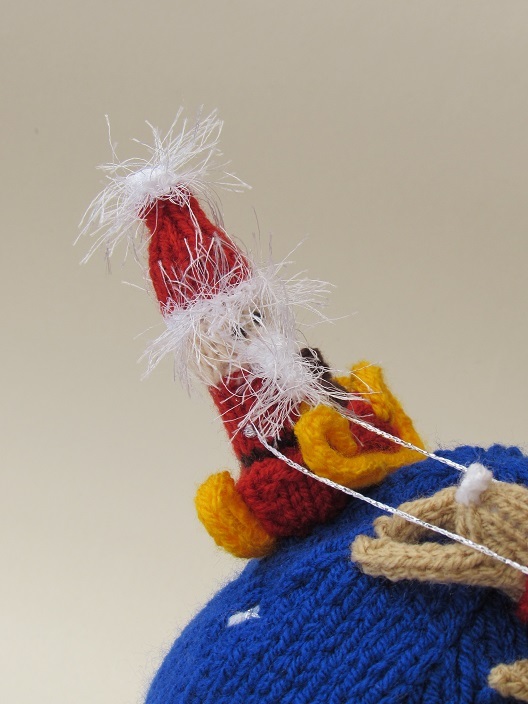 Behind Santa is a sack of presents, his precious cargo for all the good children. 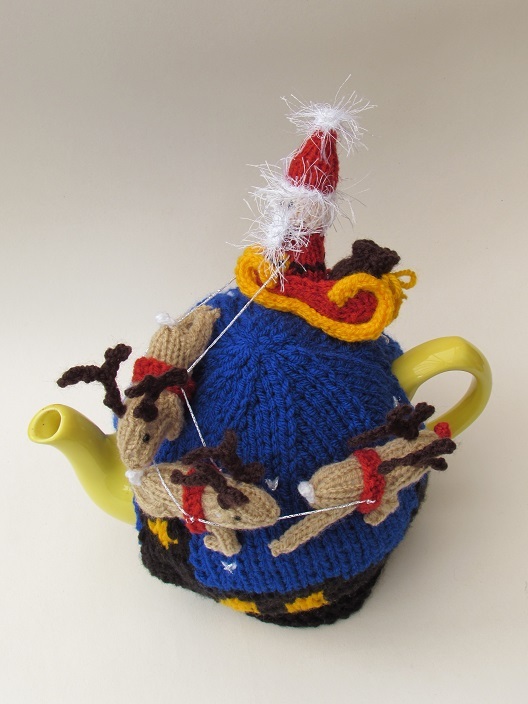 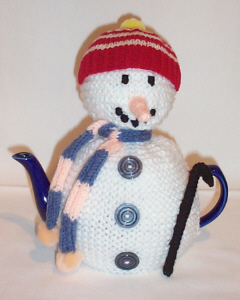 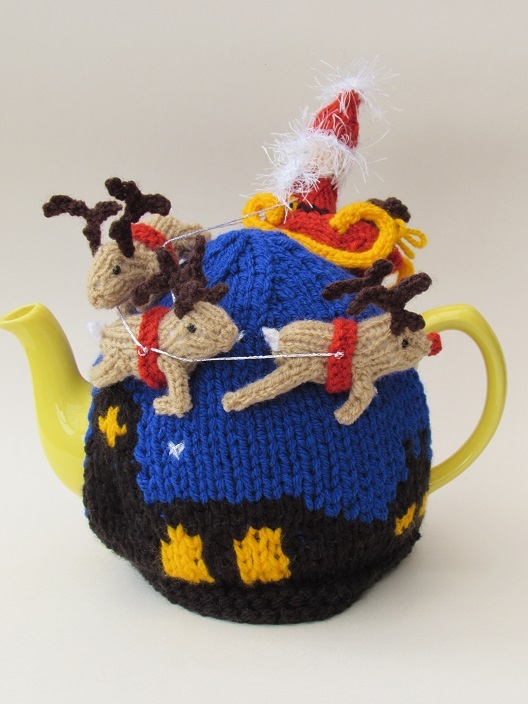 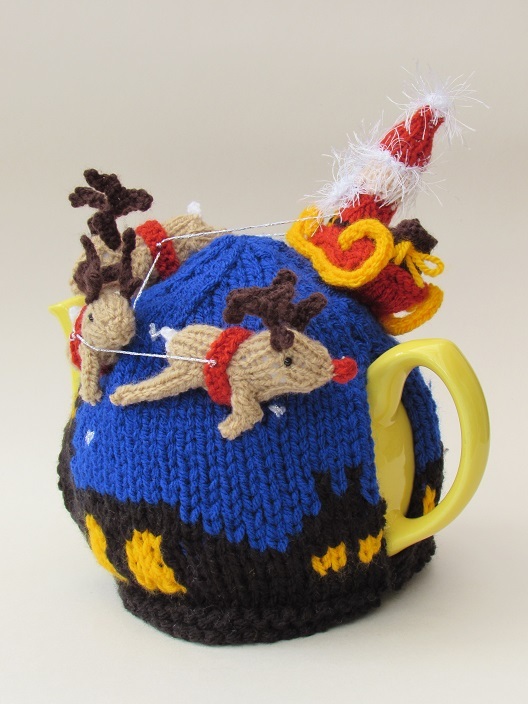 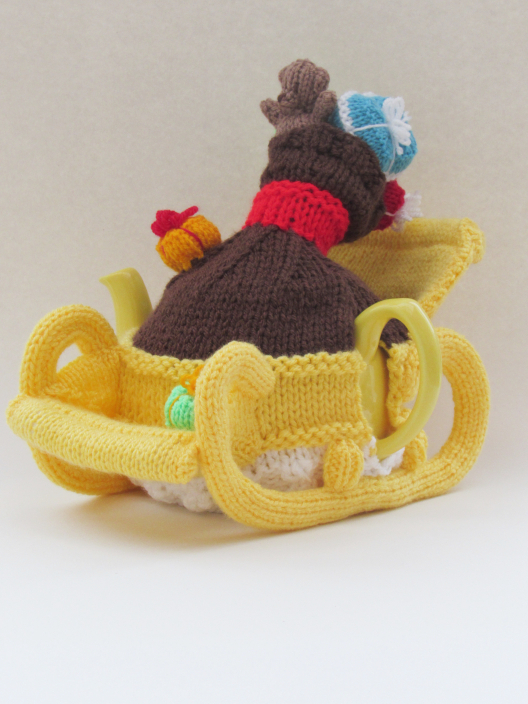 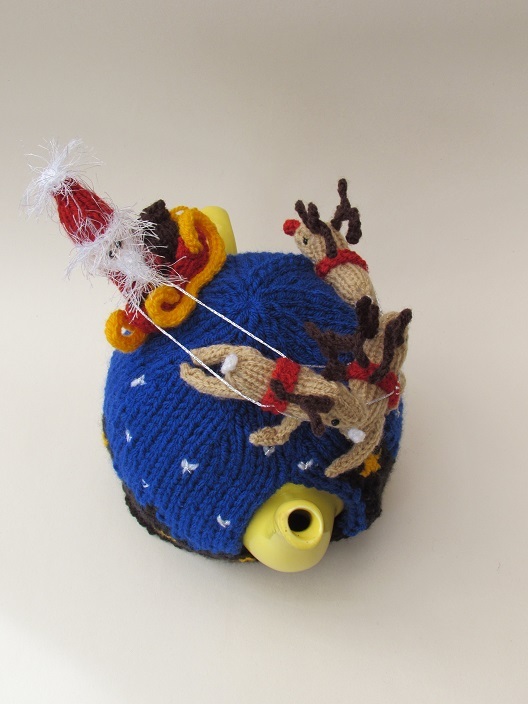 Santa's Sleigh Ride was a fun tea cosy to design and I hope it beings please to knitters and tea drinkers alike, for many Christmas's to come. 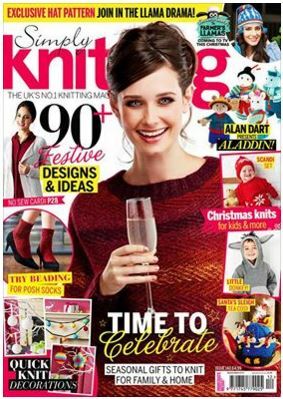 The Santa's Sleigh Ride knitting pattern will be available to buy from the TeaCosyFolk website from the 1st June 2016, in the meanwhile you can buy past copies of Simply Knitting if you missed the pattern when it was first published.